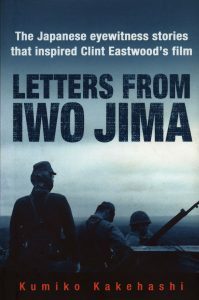 Letters from Iwo Jima reveals the true story of the Battle of Iwo Jima, the subject of two films directed by Clint Eastwood. Flags of Our Fathers tells the story of the US Marines who raised the flag above the island: the iconic image of the war with Japan. His other film, Letters from Iwo Jima tells the story from Japanese point of view. At the heart of the story is the maverick general Tadamichi Kuriyabashi, devoted family man, brilliant leader and the first man on the island to know they were all going to die. As Clint Eastwood comments, “General Kuribayashi was a unique guy. He liked America. He thought it was a mistake to go to war… America was too big an industrial complex.” Unlike most Japanese officers, Kuriyabashi had travelled abroad, spent time in America, and was under no illusions as to the ultimate end. He fought and died to delay the Americans for as long as he could. He knew that once the island fell, it would be used as an airbase by US bombers to strike at Tokyo. His unorthodox methods made this the fiercest battle the US Marines have ever faced, and he sustained resistance far longer than anyone believed possible. Kumiko Kakehashi’s heart-rending account is based on the letters written home by the doomed soldiers on the island, mostly family men, conscripted late in the war. She reveals a very different Japanese army from the popular image. It is an incredibly moving portrayal of men determined to resist to the last breath, despite their profound opposition to the regime that led them into war.